The good thing about these keto kebabs is that you can freeze them and whenever you want to have them just coat them in egg and fry. These kebabs have lots of vegetables in it that’s why the color is dark. They are super healthy. Take 2 cups of each vegetable mentioned below. 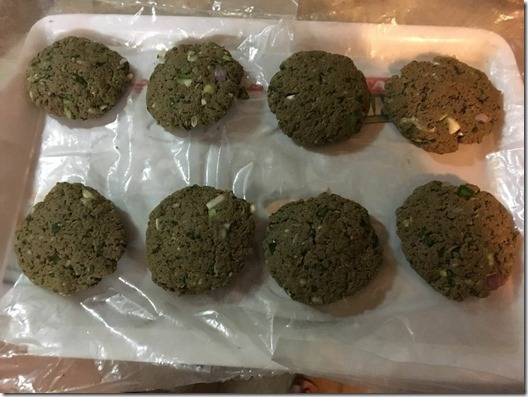 My kebabs are ready to go in the freezer. Take beef and add salt, red chilies, ginger, and garlic paste and some water in it. Cook till it is tender. Now grind it in a chopper and make its mince paste. Now add all finely chopped vegetables in it. Add egg and make a shape of kebabs. Freeze them and fry after coating egg in it.